Russia urges unbiased proceedings for former Serb military leader | Russian Legal Information Agency (RAPSI). MOSCOW, May 27 - RAPSI. Russia urges hearings in the Ratko Mladic case to be fair and not be used to slow down the International Criminal Tribunal for the Former Yugoslavia, the Foreign Ministry told RIA Novosti. The Serbian authorities announced Mladic’s detention early yesterday. The International Criminal Tribunal for the Former Yugoslavia accuses the Serb military leader of committing genocide and crimes against humanity, and violating war laws on ethnic cleansing in Bosnia and Herzegovina from 1992 to 1995. Mladic has also been indicted for waging terror against civilians when his forces stormed the Bosnian capital of Sarajevo, taking hostages from U.N. personnel in May-June 1995 and killing the Muslim population. 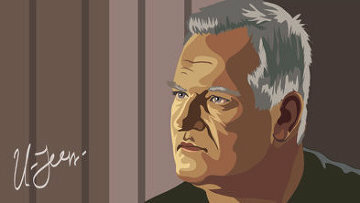 Nevertheless, Mladic remains a hero for many Serbs. He is presently detained in a special court in Belgrade awaiting his extradition to The Hague. 13:36 27/05/2011 Russia urges hearings in the Ratko Mladic case to be fair and not be used to slow down the International Criminal Tribunal for the Former Yugoslavia, the Foreign Ministry told RIA Novosti.